Michael Jackson's nephew appointed permanent co-guardian of pop legend's children. 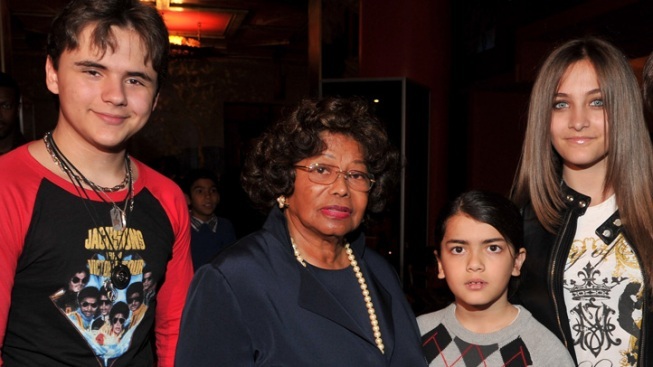 In this file photo Katherine Jackson is pictured with her three grandchildren Prince Michael Jackson (l.), Paris Jackson (r.) and Blanket Jackson. A judge has finalized a co-guardianship agreement for the late Michael Jackson's three children, with the singer's mother Katherine and nephew TJ sharing the responsibilities. The decision by Los Angeles Superior Court Judge Mitchell Beckloff makes permanent a deal that was tentatively put in place earlier this month. As co-guardian, TJ will assume many of the daily tasks involved in taking care of Jackson's children: Prince, 15, Paris, 14, and Blanket, 10. TJ is the son of Tito Jackson and performs with his brothers in the band 3T. The proceedings took an unexpected turn Wednesday when Debra Jackson and her son Anthony (distant cousins of the singer) urged Beckloff to delay his ruling, saying they were concerned that Katherine was being coerced. According to the Associated Press, the pair said they had been ostracized from the family and that the late superstar's children may not be as excited about TJ's appointment as has been presented in court. But Beckloff noted that all three children have said they consent to the co-guardianship. Beckloff went on to urge TJ to consider allowing the cousins to visit the family, but said there was no reason to delay the guardianship decision. The AP reports that the cousin's letter was not filed with the court and will not be made public. Katherine's attorney, Sandra Ribera, disputed the claims that her client was being improperly influenced. "Mrs. Jackson is well informed," Ribera said. "Mrs. Jackson is a strong woman who cannot be influenced by anyone when it comes to decisions about these children." TJ appeared in court for the hearing, but did not speak to reporters afterward. Katherine's presence was not required for the ruling. Katherine was reinstated as permanent guardian of her grandchildren during a brief court hearing in on August 2. TJ, 34, was appointed as temporary guardian in a previous court hearing following a bizarre episode in which Katherine was reported missing but later turned up at an Arizona spa. During the August 2 hearing, Judge Beckloff said a court appointed investigator had visited Katherine's Calabasas, Calif. home and that she has been doing a "wonderful job" as guardian and that the children love her. Beckloff went on to say that the "kids have a substantial, significant relationship with TJ Jackson and love him very much." Katherine, 82, was named in her son's will as the children's sole guardian but appears content to share the responsibility with TJ moving forward. 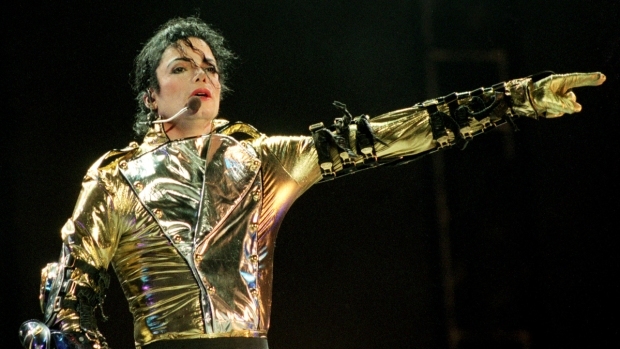 The new arrangement would remove some pressure from Katherine who has, according to a statement from her son Jermaine, endured incredible stress since Michael's death. Diana Ross, named in Jackson's will as a backup guardian, met with the children in early August and approves of the arrangement, their attorney said. The dispute led to a driveway confrontation on July 23 involving several family members at the Calabasas mansion where Katherine and the children have been living. Soon after, Jermaine Jackson issued a statement pleading for peace in the family and withdrew his support of the letter.